I just came across this amazing TV series adapted from William Brinkley’s best-selling novel, The Last Ship. The season premiere actually aired back in 2014 and I was quite disappointed having only watched it in reruns, but it was rewarding nonetheless and it got enough fan support and audience share for the studio to make a second season. It’s normal for people to think about their safety, in fact, psychologists say that we think a lot about our safety all the time that through the evolutionary process, we’ve developed several defense mechanisms in our mind and body in order to survive. Today, however, it’s not just about hunting food or fending off predators, but a lot of complicated things thrown into the mix of feeling secured. Besides thinking about our well-being we also think about our properties and how to keep them safe from thieves and burglars, our money from getting robbed and all other material possessions. So we made our homes hard to invade and even keep one or more firearms to fend off intruders, while in outdoors we lock our cars, bikes and other modes of transportation and keep our money in bank vaults with several security guards and a cutting-edge security system just to keep it safe. NOKE only recognizes Bluetooth signals, so it’s almost impossible to hack it, plus FUZ Designs added extra security measures in it in order to make it impregnable. You’ll need to use your smartphone in order lock or unlock the device; however, you don’t need an app or adjust the settings on your phone to do this, because it responds to the proximity of your phone, so all you have to do is bring the phone closer to it. If you have an Android phone that supports Bluetooth 4.0, then you can use the NOKE padlock as it is specifically compatible with it. FUZ Designs had intended to designed this device for multipurpose basis which will make it usable in almost anything and gives the user flexibility. NOKE was made to look attractive on the outside but on the inside it is made of a very tough allow of hardened steel and boron which can withstand temp eratures of up to 2,348 Kelvin, you can be sure that your padlock will last through anything. 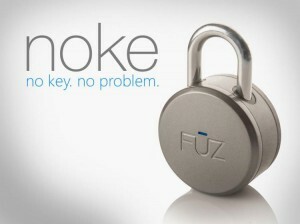 This unique padlock is actually weatherproof and the hardened shell casing is very advantageous for its Lituim-Ion battery also. 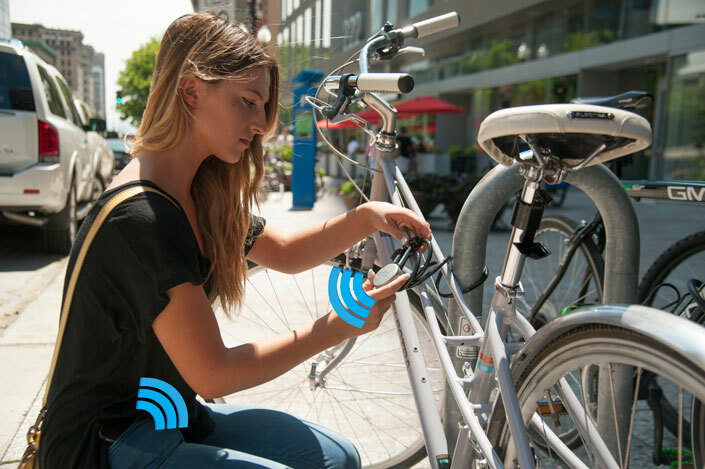 The NOKE keyless padlock is perfect for outdoors and using your smartphone’s Bluetooth 4.0 technology and lock or unlock it from 10 feet away (its minimum operational range). 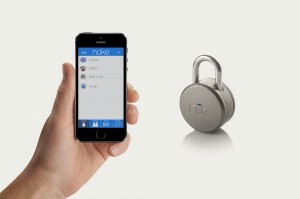 You can also share access to your NOKE with your friends by simply including them in your NOKE app, then they can use their smartphones to unlock it as well. Also, a special bike cable that cost $20 which stands as a shell for easy locking bicycles. It costs $59 for preorders and its retailing price will costs $89. Your personal safety is of paramount importance, second comes your property and possessions and the rest is just pawn and loan stuff on a daily basis, but at least you got the NOKE keyless padlock for the little things that you cherish. Technology when used properly can be very advantageous for us all. 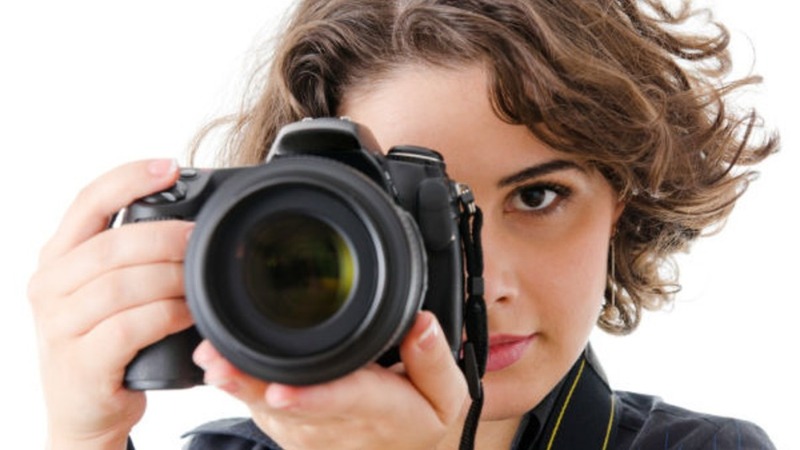 Ever dreamt of being a photographer? Or maybe you just like to take photos? Photos do have a sentimental value as it captures most of the climatic events that happened in your life like your first birthday or the time you did something silly and as you grow up you’ll look upon it and just reminisce. Yup cameras can be your best friend but then what’s the use of having a camera when it isn’t very clear or just plain blurry. Sure cell phones have cameras or even digital cameras but some aren’t just satisfied with the low qualities of it so what better way to make your photos more clear with vivid colors? This DSLR is best known for beginners so no need to worry about not knowing how to use a DSLR. It takes magnificent photos that are really high quality and it takes the accurate colors of the thing or people that you took a picture of. It is rather small for a DSLR and weighs 14.5 ounces. When it comes to videotaping well it can capture up to a maximum resolution of 1920 by 1080 pixels at 60 frames per second in H.264 or MP4 format though it can only take up to 10 minutes so it can be a disadvantage. Another disadvantage of it is that it has no tilting LCD screen and has limited shooting controls and also has noise (graininess) when capturing photos in low-light but other than it it’s a whole package. It can be bought for $649. 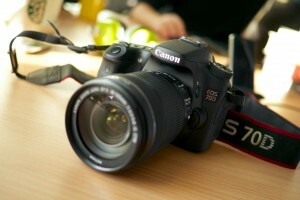 It is best known for being the best enthusiast DSLR. It is known for being versatile and has a fast autofocus when it comes to recording moving objects. 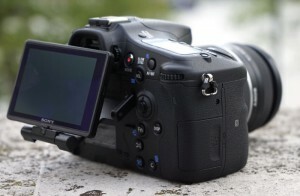 It is known for having the most lifelike videos taken compared to other DSLR’s. Other than videos, it is also known for taking clear, sharp photos. It is also equipped with Wi-Fi for photo transfers and a remote control. The downside of this is that it’s kind of bulky and it has a tedious wireless and white balance controls. It cost about $ 1,349. 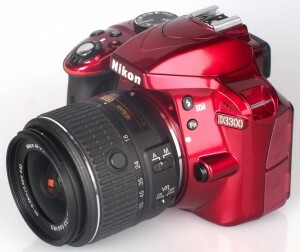 It is best known for being the best professional DSLR. It is also known for its excellent image quality, great autofocus, fast image processing and because it lacks anti-aliasing filter, it has extreme sharpness. It also has a long battery lifespan and advance shutter with super low vibration. It sports 36.5-megapixel resolution and full-frame capture but it has a lot more improvements and it weighs about 34.6 ounces, battery included. The disadvantage of this DSLR is that it has noisy images at high ISO and it can be quite difficult in locking critical focus when it comes to portrait shots. The price of this is about $ 2996.95. 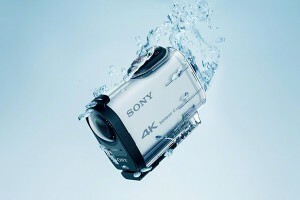 Everyone’s been talking about this high tech camera from Sony also known as the action cam. This latest concept in digital camera technology is no ordinary cam at all! It functions a lot like any digicam except that it can do more than what any regular camera can do, in short this is a multitasking camera. Sony was able to produce an action camera that records 4k Ultra HD videos, thus giving you vibrant and realistic images no matter what angle you shoot. This action camera or camcorder is very useful for those who love the outdoors, having their family bonding time while they are recording it on this camcorder; or just going for a walk and or capture those precious moments in time. This is an absolutely extraordinary camcorder, because it allows you to record with immeasurable high resolution videos and images at will! Aside from having the ability to take 4K recordings it also comes with essential sockets for microphones, USB 3.0 ports, Wifi, HDMI terminals and other accessories. You can also mount it on your bicycle when you go off-road or mountain biking; or attach the Action Cam onto your helmet when you are hiking which will help you capture videos spontaneously. This new contraption action camera was built to be simple and handy yet also beautiful, it has a white porcelain color schemes to it and is ergonomically designed and gives you a good grip. 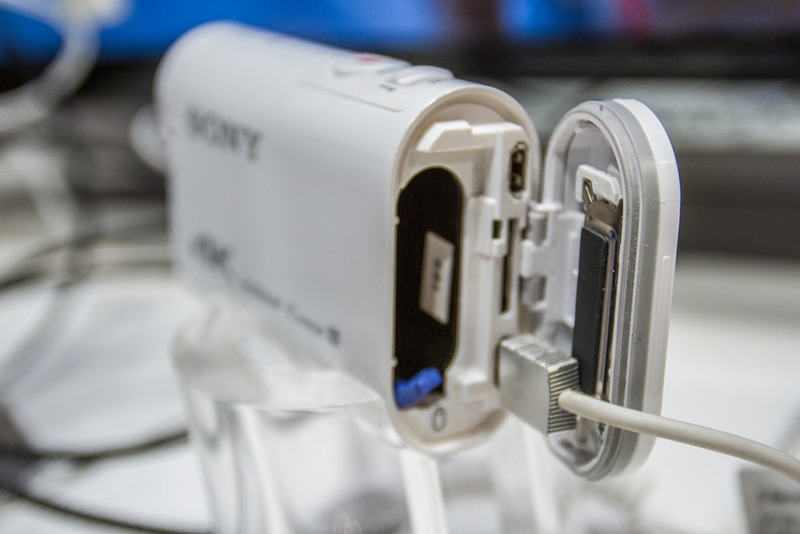 This Sony Action Cam built with GPS (Global Positioning System) will allow the user to easily locate the videos recorded in cam and enough battery to let you record 4K videos or more in 15 hours in full charged. Sony Action Cam model code FDR-X1000V, can record XAVC 3840 x 2160 pixels having 30p, 25p, and 24p quality. 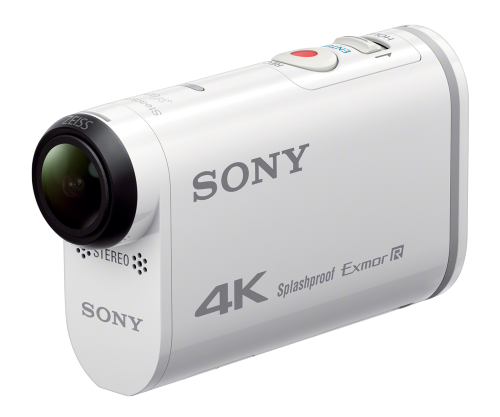 Also, it can record 240p HD which gives you the ability to play your videos in slow motion, what is more exciting here is that, Sony’s Action Cam is splash proof – meaning you don’t have to worry about rain or submerging into rivers, lakes or sea water. Practically having Wi-Fi with it is more interesting which will allow the user to do other functions with it. Having a GPS chipset also makes it more interesting as you can do geotagging with every shot you take, analyze speed and detect changes in elevation which the camera can recognize. 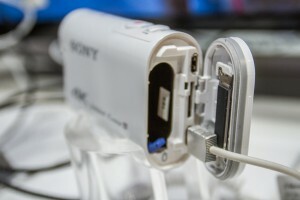 The Sony Action Cam costs around $500 to $600 SRP. Have you been hooked with watching horror movies lately or just anything gory? Well how about horror genre’ games? Sure watching horror movies is entertaining if you’re into those types of movies but wouldn’t it be much thrilling if you play it too? Don’t you think it’s more fun? I mean just watching and waiting for how it’s going to end, that’s too boring. It’s so much more exciting to play a game with a storyline too then it’s up to you on how long you can survive and win the game on how you’ll see the ending. Sure it’s a lot harder and longer but it sure as hell more entertaining. 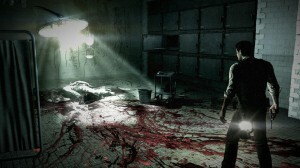 The Evil Within also known as Psycho Break in Japan is a video game developed by Tango Gameworks and is released by Bathesda Softworks for the PlayStations 3 and 4, Xbox 360 and Xbox One video game consoles and Microsoft Windows. It has a mix of supernatural, murder, and just downright gory. It definitely isn’t for little kids to play as they might actually have nightmares about this so don’t go playing this at your living room where they can see it right away but then again if there is none, play wherever you want. 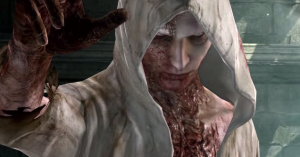 The game is really detailed from chopped of arms, to exploding intestines and other more. That’s just how gory it is. 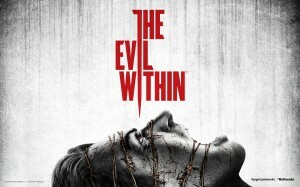 This game is played from a third-person perspective and the main protagonist of this game is Sebastian “Seb” Castellanos who is a veteran police detective along with his comrades Juli “Kid” Kidman and Joseph Oda in trying to defeat the invincible apparition Ruvik. Now the plot of the games with in the fictional place called Krimson City where the trio was presently investigating a gruesome mass murder at Beacon Mental Hospital when they suddenly encountered a malevolent and powerful force. He saw how his comrades were slaughtered before his eyes by a man wearing a white hood and that he was covered in burn scars when he was suddenly ambushed and knocked unconscious. When he woke up, Krimson City wasn’t just the same with it having undergone massive earthquakes, unreal shifts in terrain and these hideous creatures called Haunted wandering the landscape. Now this game is all about survival and as you, the player would have to go scavenging hunting for supplies and learn how to fight and run when needed to. It’s really up to your decision as the player on what Sebastian would be doing and how Sebastian would suddenly be in a new location or even finding new paths. Sebastian would also have to use medical items to restore health; though not all them are useful s some may cause temporary hallucinogenic effects. You may also see that when you collect the vials of green fluid throughout the game, it can help Sebastian upgrade his abilities. We can’t forget about the weapons. Don’t worry there is a lot of option to come up with like a revolver, sniper rifles, knives, grenades, shotgun and the most awesome one, the Agony Crossbow where when it is fired, the bolts would ether freeze, blind, electrocute or even make the enemies explode. Here is also one thing you need to more about the game, the enemies that you have defeated or incapacitated are capable of reviving. The only way for them to stay dead is by setting them on fire using limited supply of matches. It can really be an addictive game that would make you stay up all night just so you could finish it. That ever adventurous Dr. Who is still alive and well on television and via streaming on the web. With three successful series and movies, the doctor has had more incarnations than one can shake a Tardis at. Portrayed by several actors over the years, his popularity hasn’t waned and his future is still bright as he’s become a legend and a staple of entertainment worldwide. His first series was way back in 1963, fifty years of Dr. Who mind you and his latest series started in 2005. It’s got 8 years worth of episodes to watch and would literally take months to watch them all. With the sheer volume of Dr. Who content out there and more being made, the folks who’ve missed the various series and movies have quite an adventure ahead of top notch entertainment value. The stories are superb, all with thought provoking themes and dialogue, action, sci-fi special effects, monsters, robots, just everything a fan of science fiction adventure can call for. One of the earmarks of the movies and series is that it has cornered the market on the cutest women stars and guest stars anywhere. No one even comes close to the casting of cuties to the Dr. Who properties. Famous celebs make guest appearances too, mostly from Britain but favorites to those around the world. If you haven’t seen the series or movies you’re in for a major treat and don’t watch them all back to back. Watch one a day or one a week even if it takes a long time so that you get the benefit of the shows’ writing for thought provoking imagination. Episodes and videos are available at several streaming sites like Hulu and Netflix and fan sites that stream get togethers on YouTube such as at conventions and such. Dr. Who, still captivating audiences after half a century. More Doctor Who reviews, information and shouts here.